We start off our excursion with a visit to the Izumo Taisha shrine dedicated to Okuninushi-no-mikoto, the Shinto god of marriage, and considered one of the most ancient and sacred shrines in Japan. The inside of the shrine is in the Taisha-zukuri style, the most ancient form of Japanese architecture that characterises this type of sacred buildings. The Izumo Taisha shrine was declared a national treasure. In history, the shrine has had little to no influence on Buddhist syncretism, unlike most of Shintō shrines in Japan. There was never a Buddha statue in Izumo Taisha and the doctrine practised within the shrine is known as Izumo Ōyashiro-kyō. Every year, during the tenth month of the lunar calendar, deities from all over Japan reunite in the Izumo Taisha shrine for their annual meeting. The Shimenawa rope hanging in front of the shrine is the largest in Japan: it is 13 metres long with a maximum diameter of 9 metres and weighs 5 tons. 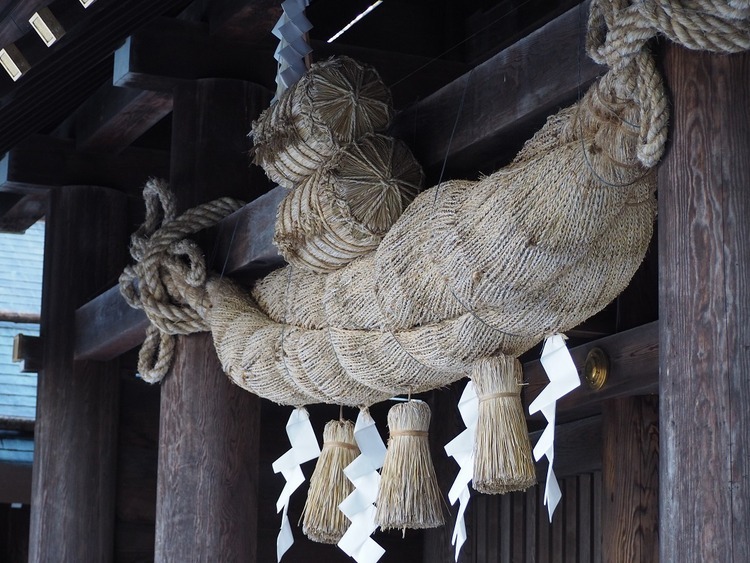 These kinds of ropes are made of hemp and rice straw and are used for Shinto purifying rituals. The diameter can vary between a few centimetres to various metres. Before heading back to the port and our ship, we have some free time for a spot of shopping in the local souvenir shop. Heavy traffic jams to be expected due to it being travelling season in Japan. We recommend having Japanese Yens available as there are no exchange offices in the port. Clear views subject to weather conditions.